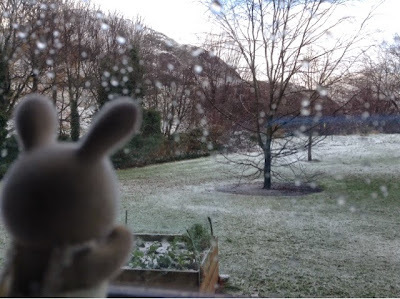 Kerri Periwinkle just wants to frolic in the snow, but her mummy says it's too cold for a wee bunny like her. Poor Kerri! Oh, you have snow! I'm so jealous! :D A very cute picture and I just can imagine the situation! Poor little Kerri! I am jealous of your snow!